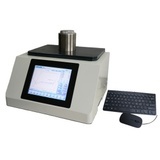 It is mainly used to measure the energy required for the fracture of plastic samples at the prescribed tensile impact velocity. 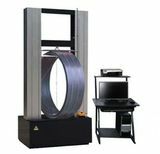 Used to measure the brittleness and toughness of nonmetallic materials such as plastics. ASTM d1822-2006 "test method for the tensile impact energy required to fracture the plastic and electrical insulating materials"
Elongation of permanent fracture: the rate of change of the measured distance of the fracture part of the fracture in 1min after sample fracture (%). Working principle: sample end fixed on the fixture of pendulum impact testing machine, the other end fixed on t, provided by energy, a one-way swinging pendulum impact t-head, make sample damage under high tensile deformation rate, cross head thrown together with the part of the specimen, determine the consumption of pendulum energy and range of samples before and after damage, after correction, calculate the tensile yield strength and the elongation at break of permanent sample. Test results of different types or sizes can not be compared. 1. The pendulum of the test machine must be a rigid pendulum and a sample of 2mm thick. The center of the physical collision of the pendulum must be overlapped with the center of the sample thickness. 2. 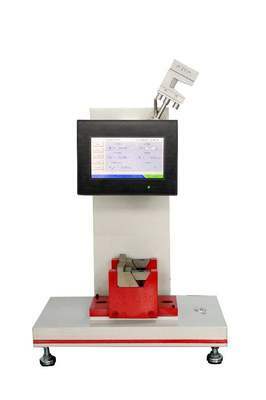 The clamping device of the test machine shall not cause the specimen to be clamped and sliding in the test, the clamping jaw may have the teeth of the file, the size of the teeth may vary according to the sample. 3. The tee head shall be made of light and very low elastic materials and shall not be subjected to plastic deformation during the impact. Sample: the sample is made from injection molding or machining. 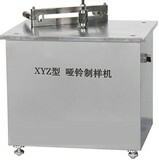 Thin film or sheet sample can be cut by punching knife. 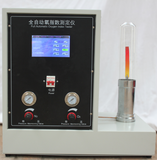 During the process of making samples, no sample overheating should occur. If the coolant is used in machining, the sample performance should not be affected. The sample should have no damage on the surface, no defect in the interior and uniform thickness. The specimen marks shall not affect the sample performance. Hard materials should not be distorted. If different tensile shock properties are shown in each direction of the measured material, the samples should be sampled in different directions. Sample shape and size: the thickness of specimen shall be 1mm first. The specimen with thickness of more than 4mm shall be machined to 4mm. For thin films, you can use multi-layer samples, but they should be well overlapped. Sample quantity: at least 5 samples or according to product standard. The experimental results show that the three valid digits are given by the arithmetic mean of tensile impact strength of each set of sample. The energy used in the energy Ws consumed by the pendulum impact sample, including the energy consumed by the t-tip, must be calibrated to produce the energy consumed by the sample destruction.